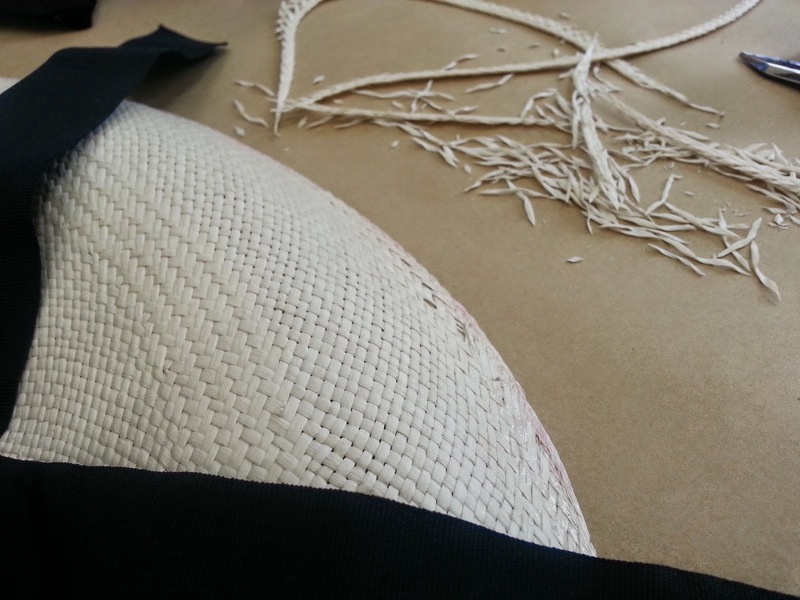 I recently had a client distraught over the state of her large brim panama straw hat. 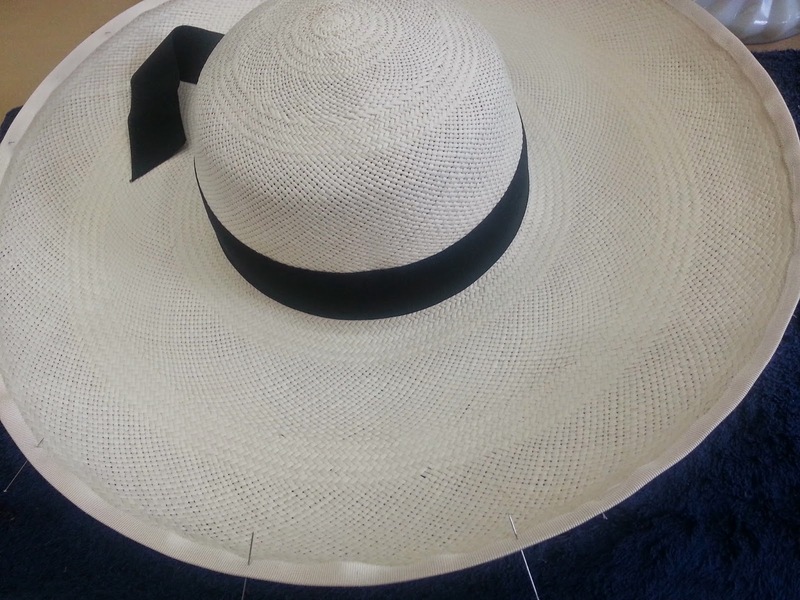 I managed to repair it for her, as the breakage was near the edge of the brim I ended up having to take the smallest amount off the the very edge and by binding the edge gave her hat a new lease of life, ONE VERY happy customer. 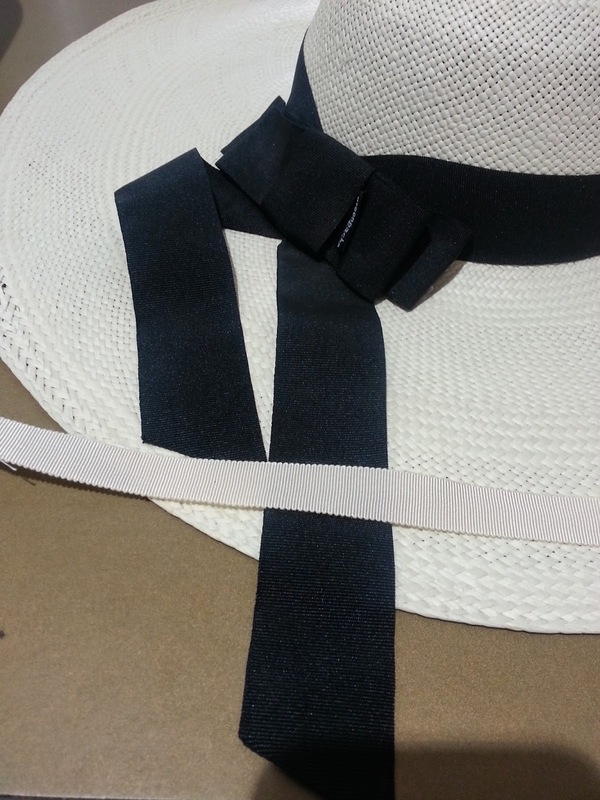 Based in Melbourne, Australia, I design for the bride, the traveler, the race goer, the rich, the famous and you. Established 1989. Come and join our friendly team in Julie's large light filled studio in Prahran. 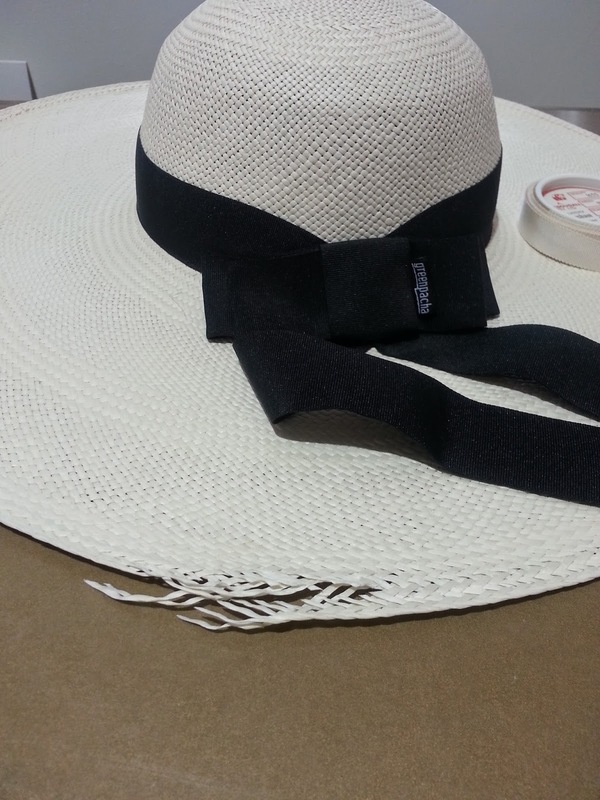 Learn how to make hats with like minded people ! 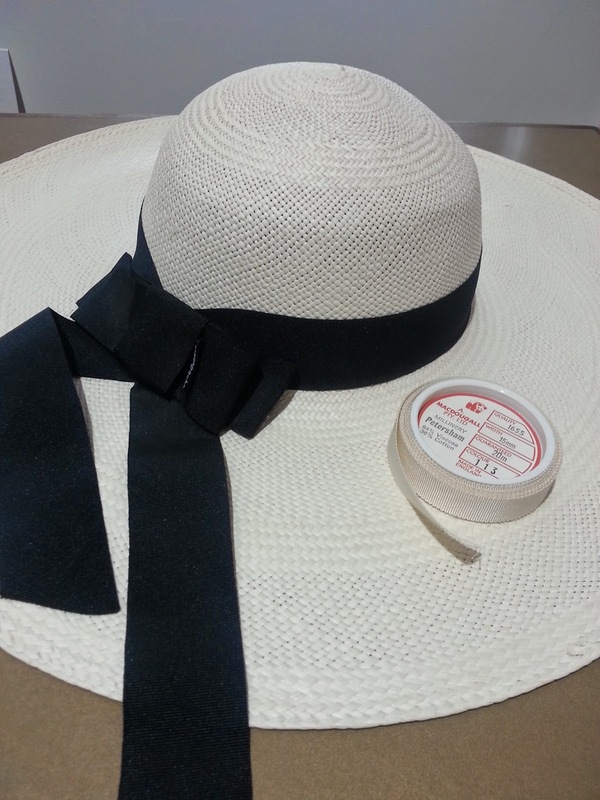 We guarantee you will enjoy the hand making process and you will be able to expand your knowledge of hand making hats and special trims. Book now to reserve your place! 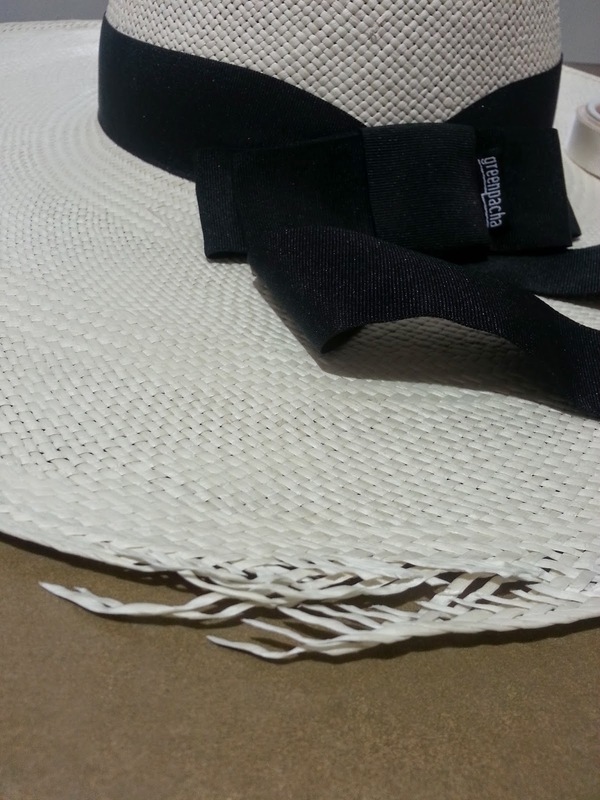 This is a Flickr badge showing items in a set called hats headpieces by julie fleming. Make your own badge here.